Nokota horses just walkin’ and talkin’. Today we hoist our colors on Sweden’s official national day. 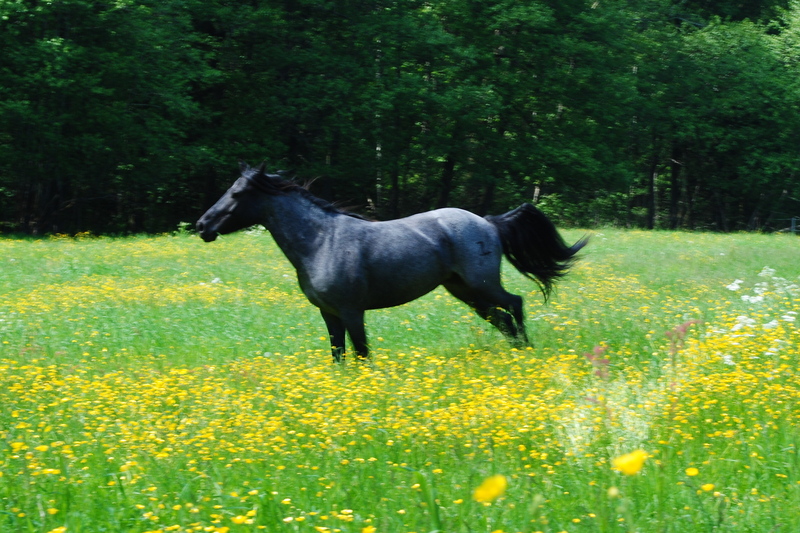 A blue roan Nokota horse running free on a meadow among yellow buttercups is a nice way to illustrate this day. When we opened up the gate to the summer pasture the horses did not hesitate like last year, they knew exactly what to do. 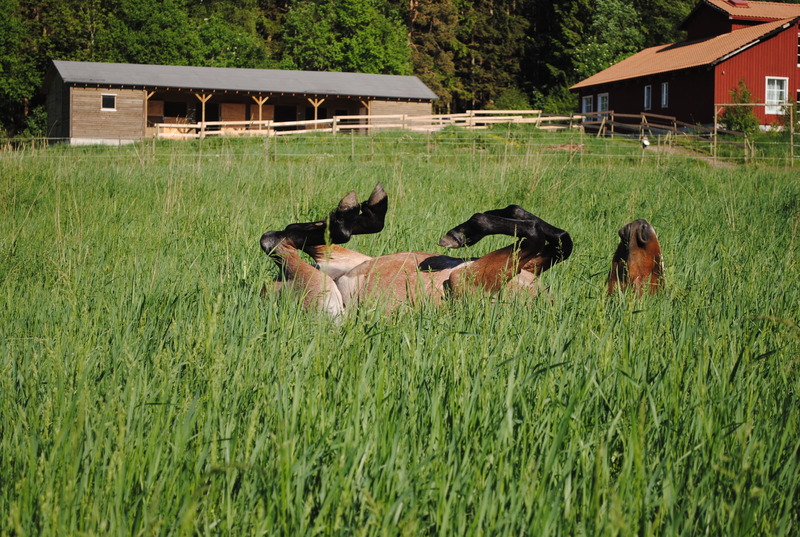 There is no better joy for a horse than to run free with friends in a big pasture loaded with a smorgasbord of two feet high fresh grass of many different species. 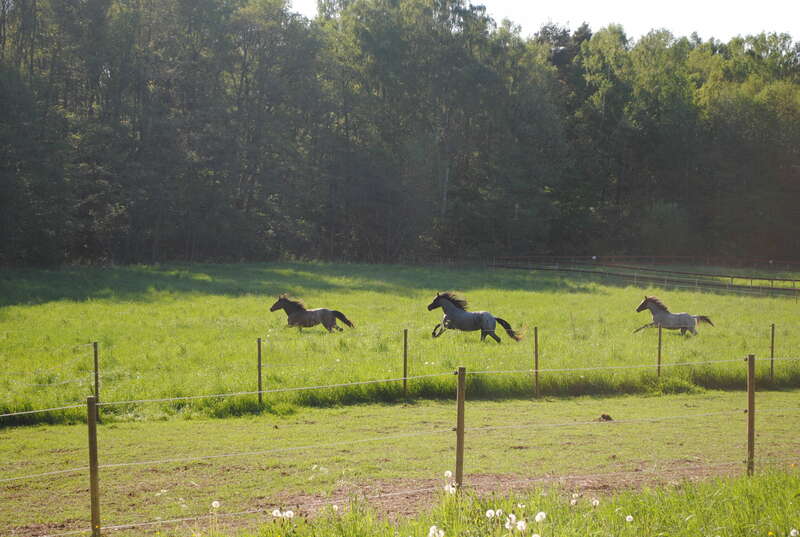 The feeling to stretch out in a powerful gallop with a mouthful of grass is heaven for these freedom loving horses. To graze peacefully knowing the supply of delicious plants is endless, on a beautiful summers day is indescribable and they are smiling from ear to ear. 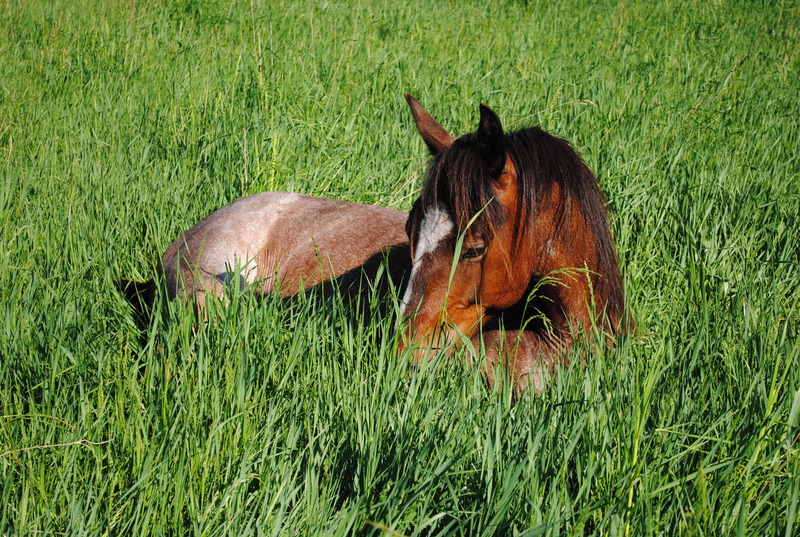 After four hours of grazing, Bluebell slowly walks up to the stable for some water and then she chooses a place in the shade for an afternoon nap, but shortly changes her mind and walks back down to Windflower and Wild Prairie Rose for some more grazing. Sweden’s national day, the sixth of June, was established 1983 but has been an official holiday for only eight years. It was the date on which our first king Gustav Wasa was crowned in 1523 and Sweden became an independent country (even if our southernmost and northernmost states was not included). Some governmental and constitutional changes made in 1809 and 1974 on the same date may also be the reason this day was selected. Our national day is not like other countries national days; we are generally not very patriotic about it. A day characterized by a contrived celebration of a nation’s borders? 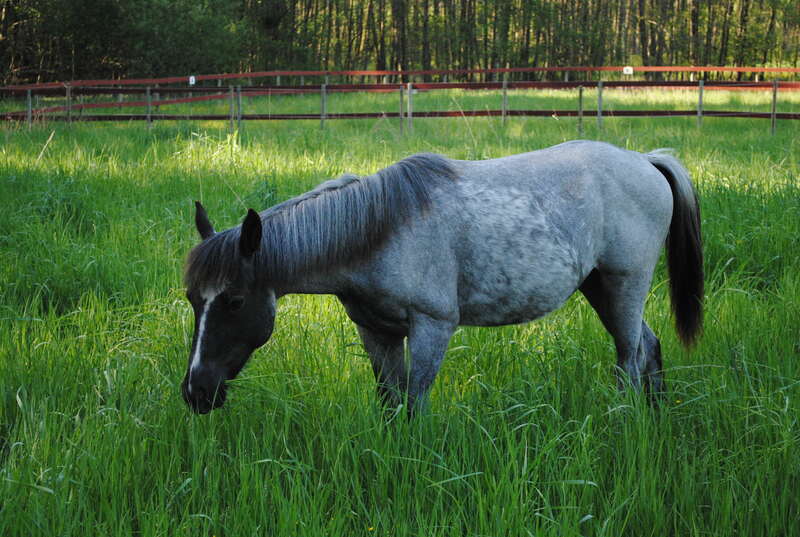 There must be better reasons to celebrate; ask any horse if she pefers closed or open fences. 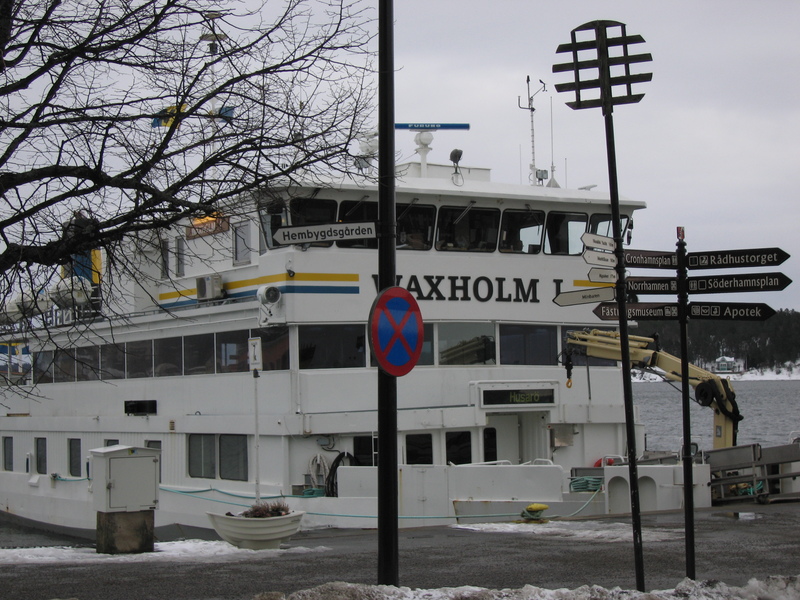 Some of us visited family and friends in Stockholm the other weekend. 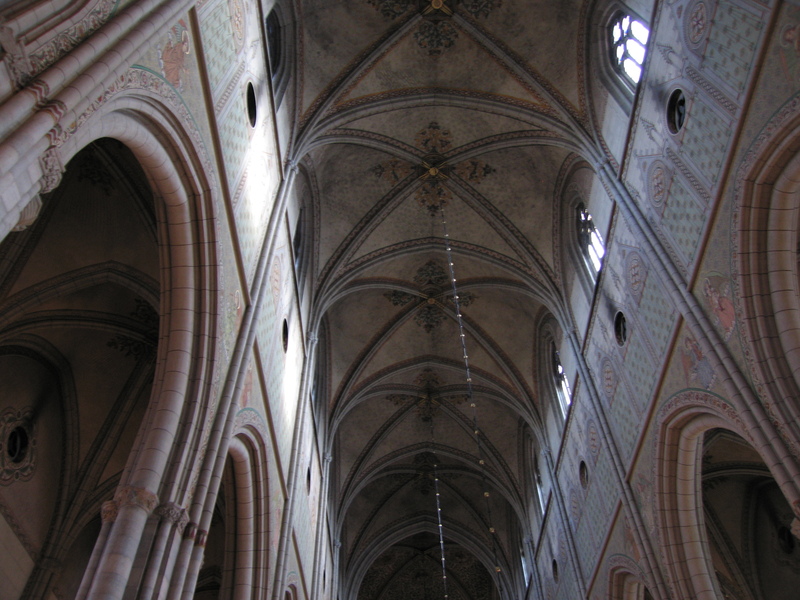 A nice detour to Uppsala was just one of the highlights. 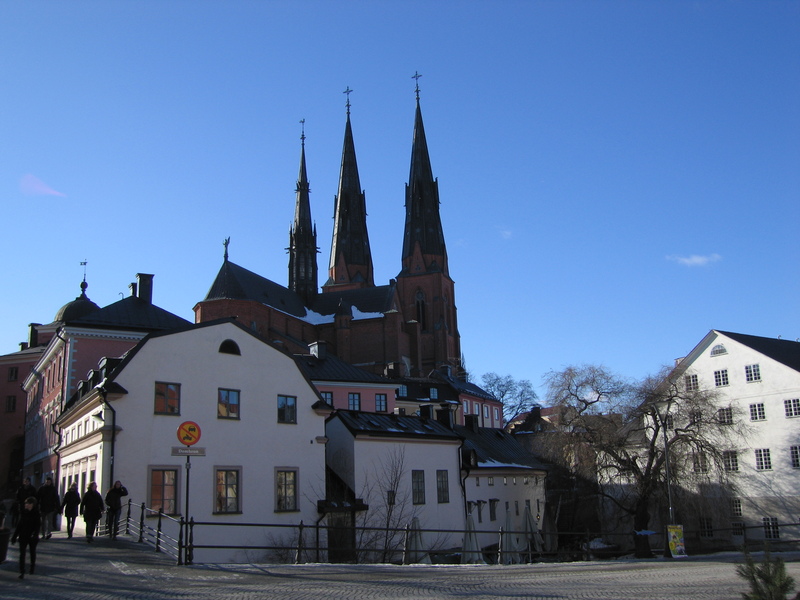 Uppsala is a beautiful town built on ancient history. 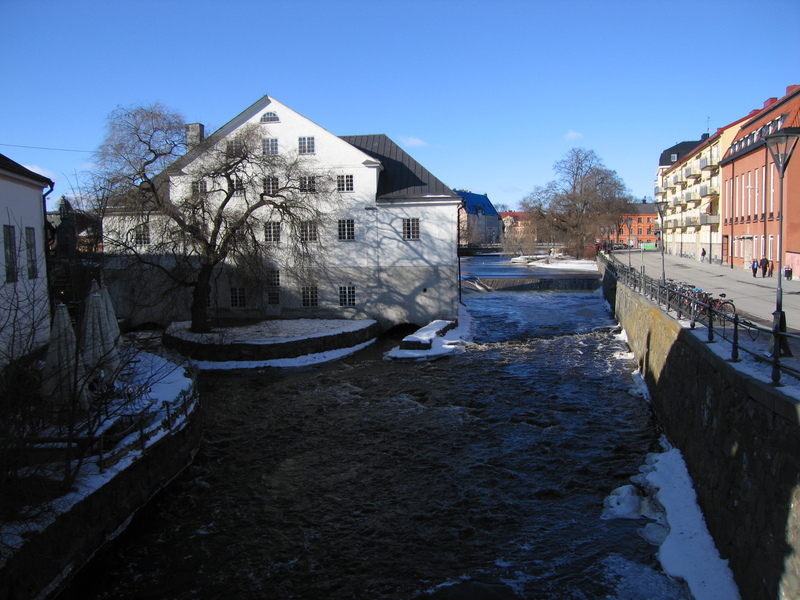 The town centre with its waterways and tasteful old architecture is definitely one of the nicest in Sweden. Gustav Vasa, the first king of Sweden, is buried in the eight hundred year old church, one of the biggest churches in northern Europe. 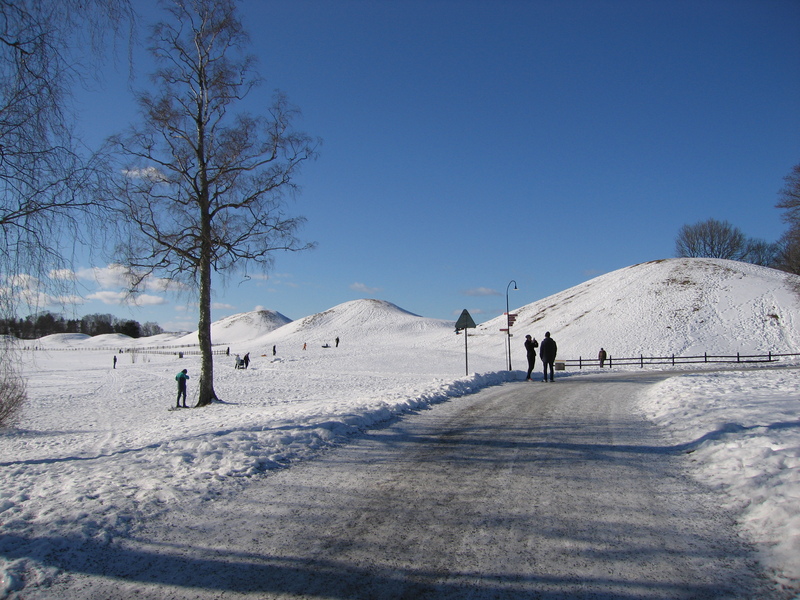 Just north of the city centre is the site of Kungshögarna; the epicenter of prehistoric Swedish civilization, symbolized by three giant manmade grave hills, one thousand five hundred years old, surrounded by almost three thousand minor graves from the same period. Next to these hills is a museum. 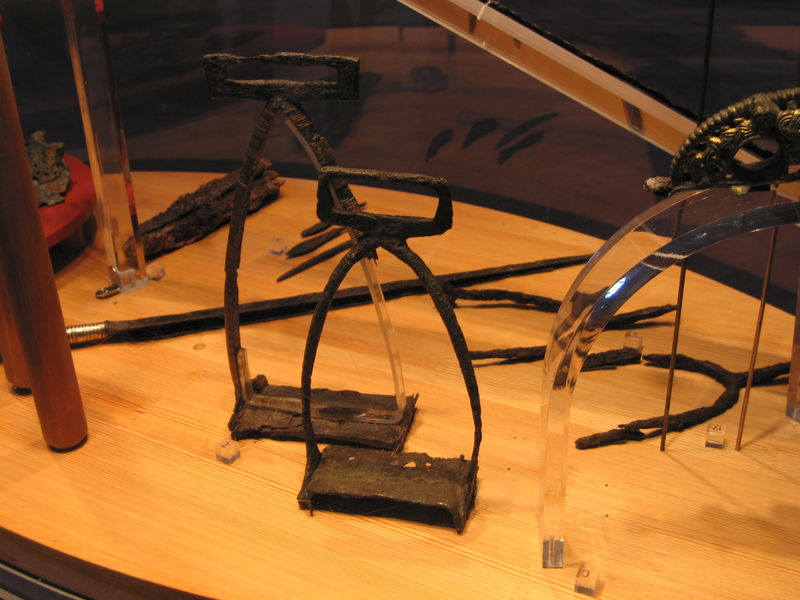 That’s where we found them; a pair of stirrups and spurs from around 400 AD, along with other archeological findings. It seems like horses were very precious for some ancient Scandinavians once; so important that they even brought their riding gear to the final rest. If you would like to come along on this journey in time I will tell you the story of an ancient Nordic tribe, the “Fjaeringar” on the west coast of Sweden. The ancient Viking Age grave field Li at the west slope of Fjärås Bräcka. 125 bauta stones remains today. The official history based on archeological and written evidence is untouchable, but lacks the imagination and logical speculation that brings history to life. The historical evidences from human activities right here are very fragmented and span from the stone age to present day, consisting of remnants from buildings, fireplaces, different kinds of grave remnants, a few findings of artifacts and chemical soil analysis. The tradition of telling a story is as old as language itself and significant for a story which survives thru long periods of time is that it often includes both facts and fiction. Why is that so? Cold facts only paint half the picture and only involve one half of the brain. By adding imagination both sides of the brain gets involved, which fills in the gaps to complete the picture. A painting by one of the famous 19th century impressionists can give a sense of reality, more accurate than a photograph, because the paint sets the light and only selected unfocused details; the rest is filled in by the watchers imagination. So you not only see the painting, you feel it. So this story I am about to tell is a mix of facts and fiction. It’s not the official story of a peaceful farmland we were taught in school and it is not pure fiction. It is a truthful tale that may well have been told by wayfaring northern pilgrims during dark winter evenings by the fireplace in ancient Scandinavian long houses, stories since long forgotten. I will start by drawing up a charcoal sketch of facts outlined by cold evidence, then the colors will be added by logical reasoning and speculation, finally the shadows of imagination will complete the tale. The ridge Fjärås Bräcka. 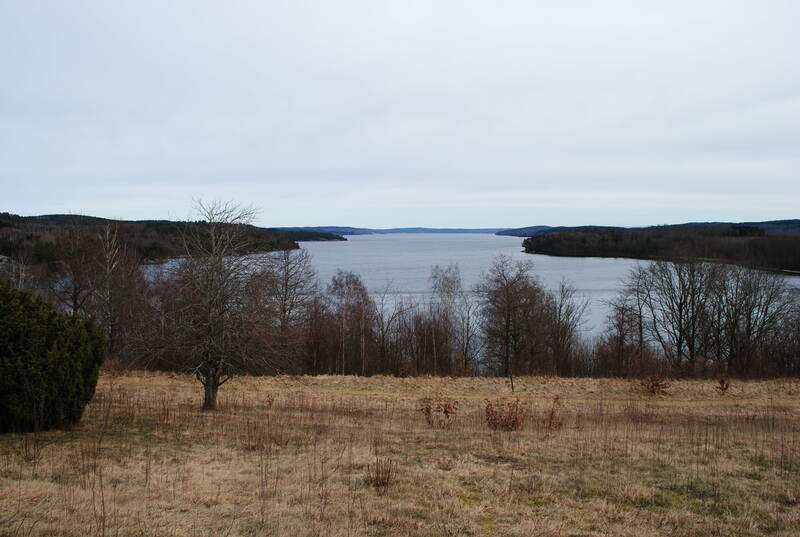 Lake Lygnern to the right and to the left the plain that stretches towards the ocean. On top of the ridge goes the ancient road Via Regia that runs down to the right in the picture. We live near the south end of a majestic ridge of moraine and gravel deposits, formed during the latest ice age at a temporary suspension of the de-glaciation 13 000 years ago. (By the same time in history the first humans walked over the ice sheet of Bering Sound to colonize the American continent.) 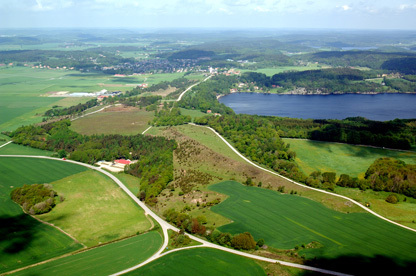 The mighty ridge that runs from north to south constitutes a significant feature in the landscape as it rises sharply over the plain of northern Halland across the lake Lygnern valley. At the western foot of the ridge a flat plain, previously a sea bed, stretches out towards the sea. View from the ridge towards the west, the ocean in the background. 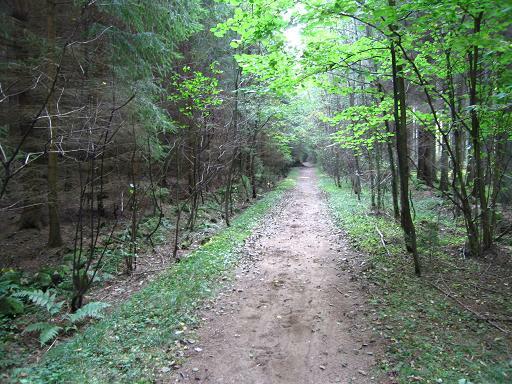 At the eastern foot the deep lake Lygnern runs from west to east, 12 miles long, thru a forest covered landscape. 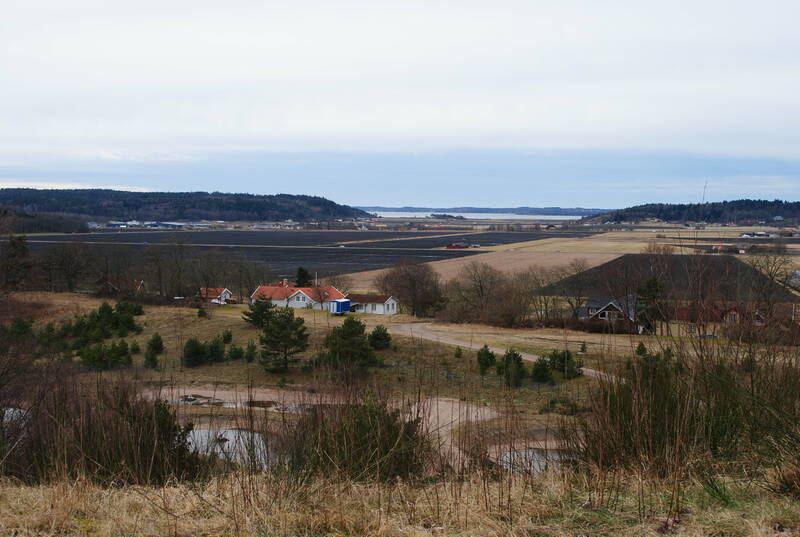 Fjärås is the name of the ridge as well as the county and the village. 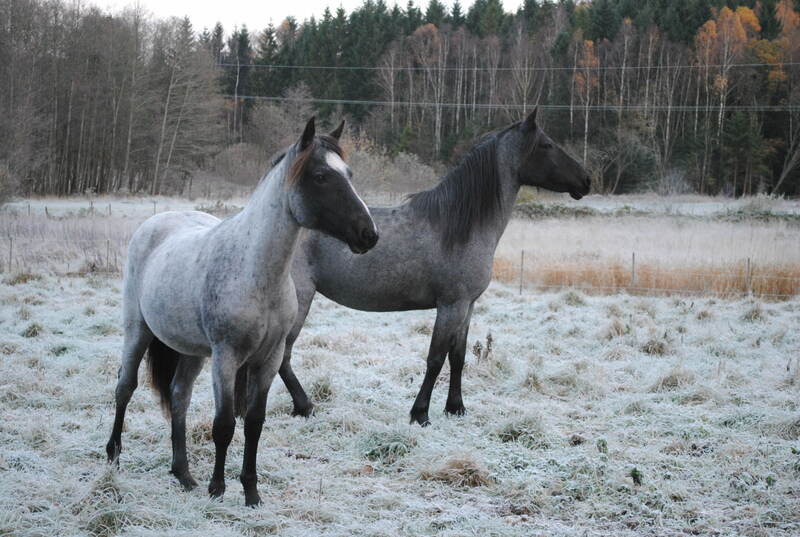 The place is a farmland known all over Sweden for its horseradish. During the era of railroad construction large amounts of gravel and sand was excavated from the ridge, but the golden days are since long gone. The gravel deposits are still in business but at a modest pace, though a brick factory has been added to the landscape. 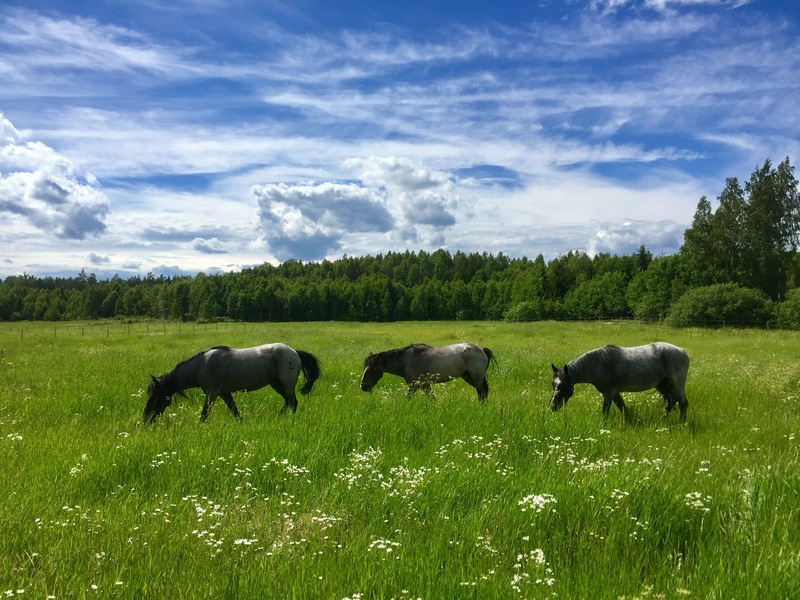 Today it’s a sleepy village for people working in Gothenburg and most farms are either wasteland, or transformed into family horse ranches. A British sterling silver coin has been found on the ridge, imprinted in Canterbury for Henry III in 1251. However the area has not always been as insignificant as it is today. When I stand on the ridge and look towards the sea in the west and turn around to see the long lake that stretches towards the horizon in the east, it strikes me that this place has all the features of an ancient strategic stronghold. To the west was a marshland, to thick to drink, too thin to plough, only accessible by flat bottomed canoes during short periods of the year. To the east, the only option was to go around the lake, which means several days of travel thru impenetrable deep forests undoubtedly inhabited by hostile tribesmen. Whomever controlled the ridge determined who may pass and of course, the fee that had to be payed. Combine this insight with the archeological findings that points out one of the largest ancient settlements at the time in this part of Sweden and the historical importance of this place comes to light. At the time of the first settlements there were no central government and no laws. Where ever life is present, the urge to gain power over resources grows, as well as the will to defend it. Without the laws of civilization the struggle knows no limits. So the official conception of an ancient peaceful farmland is crushed to the ground and an adventure of power and treachery can begin. Via Regia, a 5000 year old dirt road just outside our doorstep. But first we will look into the archeological findings that will support the base of this tale; At the transition between the Bronze and Iron ages the area west of Fjärås was a flat, occasionally flooded meadow of marshland type, in ancient Nordic language; “fiara”. 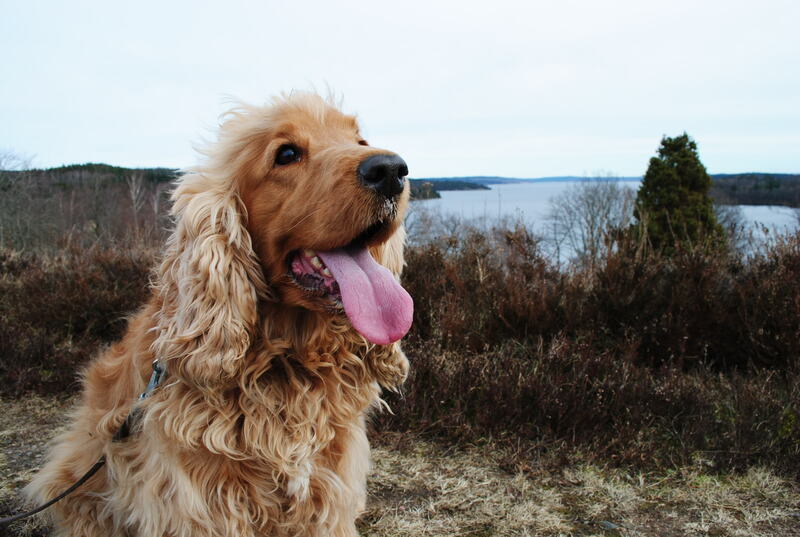 Since the Swedish word for ridge is “ås”, Fjärås means “The ridge by the marshland”. The oldest written Swedish reference is “Fiaerae”, from A.D. 1250. 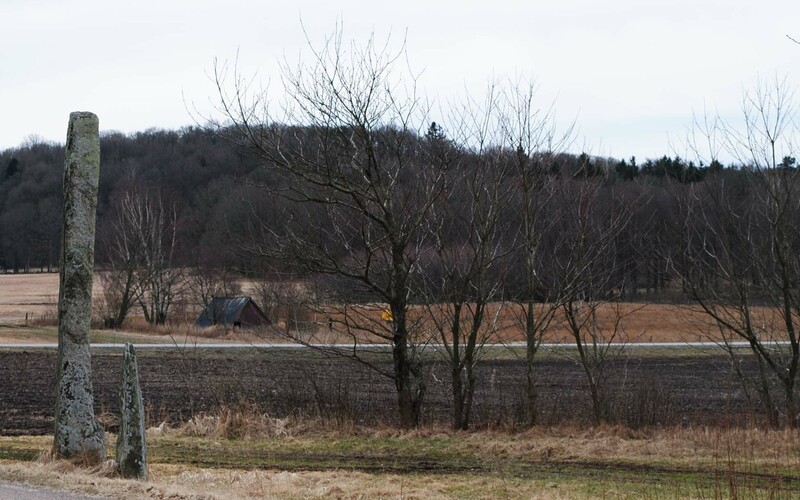 Nowhere in Halland has so many ancient archeological remains been found as in Fjärås, which shows that Fjärås was central for the Bronze- and Iron Age cultures, clearly evidenced by the huge grave field at Li. West of the ridge, four identified places with archeological remains were destroyed during the first part of the 20th century, as huge amounts of gravel were removed to be used for railroad construction. In 1913 some ancient graves where examined as well as the remains of a smithy from the age of the Vikings. The year after, remains of potsherds, nails, bronze plates, iron slag and flint from the same period was found at a nearby site, along with about twenty millstones in the gravel pit itself. Previously millstones had been observed in the coal mixed soil over the gravel deposits. In 1925 Elof Lindälv examined another site with black soil and found ceramics, burnt clay, iron slag and flint, interpreted as a settlement or a fire grave field from early Iron Age established on top of a Stone Age settlement. In the south end of the ridge a grounded flint axe is said to have been found, according to a story told by the village elders. Below on the west slope is a cholera graveyard from the middle of the 18th century. A closer examination of the area would surely result in the discovery of more unknown graves. More ceramics, grave urns and burnt bones have been found from pre roman iron age 14C-dated to 360-100 BC and the coal has been determined as alder (alnus), still the most common leaf tree in the area. At least 30 dark spots interpreted as pole holes were found in the soil when the road on top of the ridge was remade. The ancient dirt road Via Regia runs from north to south on top of the ridge, it ends at our ranch and continues south only as an overgrown path thru the forest. One day in late spring 1945 a railroad worker found a clay pot in the gravel deposit and Gothenburg Archeological Museum was contacted. The clay pot contained burnt human bones, soil and small objects made of iron, bronze and green colored glass. When the area was examined seven fire pits was found, two feet deep and four feet wide, filled with coal mixed soil and burnt stones covered by flagstones. One of the pits contained ornamented bits of a broken clay pot. The pot was dated to late Iron Age. The pits was described and catalogued as ”fire pits under flat ground”, but only some of them were actual graves while others were remnants after settlements. The chronological connection between the graves and the settlements seems uncertain. There are indications that an Iron Age settlement was situated on the west slope. Minor remnants after what is believed to have been a Viking age smithy, notes about the finding’s, rapid surveys of settlements/graves, besides presumed cultural layers discovered as the gravel pit progressed; these are the only documented evidences, except for the 1975 survey of the Li grave field. Whether it is remnants of an iron age settlement or a field of fire pit graves on top of a Stone Age settlement is uncertain. 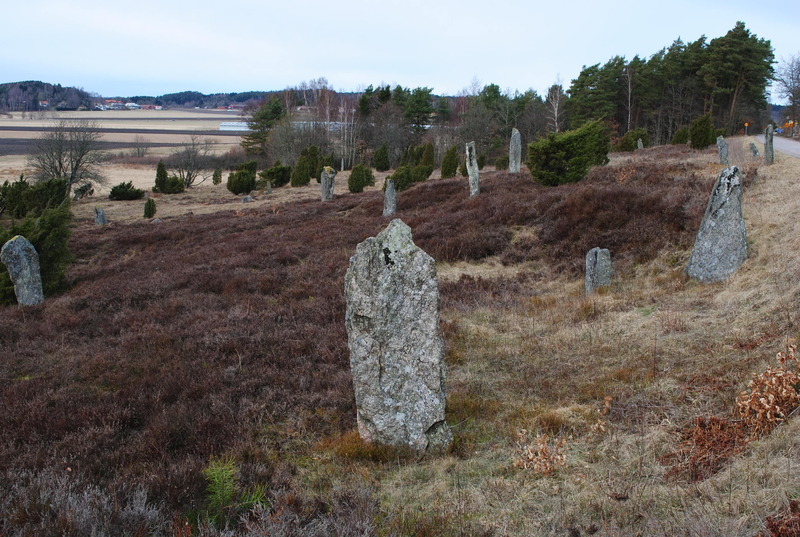 In the book Hallandia Antiqiuia from 1752 the field of grave stones is described as: “like a forest of withered tree stubs.” The 14C-method dates the grave on top of the ridge to pre roman iron age as well as the remnants of the settlement. Written accounts tells that graves from both Bronze- and Iron Age has been found on the west slope. The present day Li grave field is only a minor remnant of a once monumental grave field. 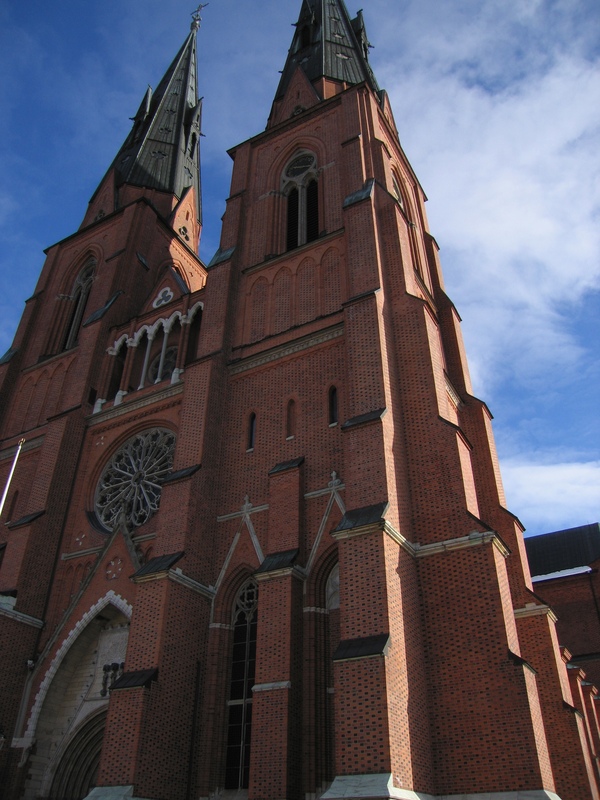 Fjärås is one of the county’s most well publicized and visited cultural sites. Unfortunately it can also be described as one of the most exploited and destroyed ancient environments in Sweden. The destruction is foremost to be blamed upon the vast gravel deposit excavations during the first half of the 20th century, but also earlier residential buildings are intruding on this sensitive site. So people lived in the area alright, but how can that justify the claim of an ancient central culture? There is much more evidence to unveil. The next part will tell about the discovery of an ancient settlement that lasted for a thousand years, just half a mile from our horse ranch. It’s been raining for weeks over here. 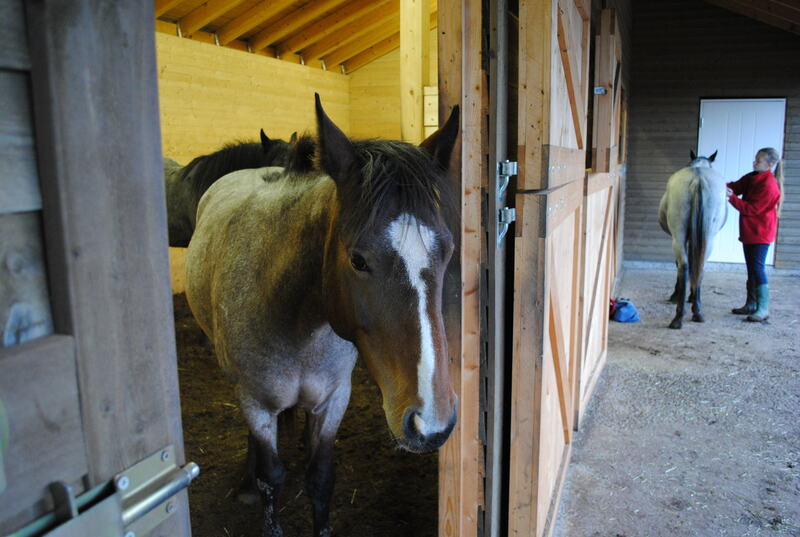 The horses spend hours in the shelter, looking out. Windflower Dancer is asking whether it is okay to have lunch on the porch today? Some try to do a little work between rain showers. Bluebell Star tries to teach Alexandra it’s much better to walk around an obstacle than to climb over it, but Alexandra is persistent. Wild Prairie Rose likes to stay dry on the front porch, looking out over the pasture, waiting for better days. 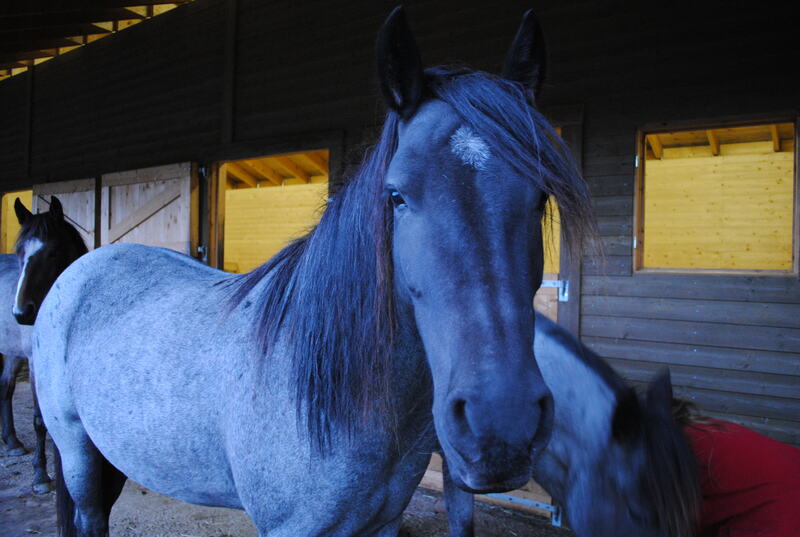 Late in the afternoon the artificial light inside the horse barn makes the blue roan horses look…well…blueish. The summer came early this year. After days of rain that blowed in from the sea, the heat finally swept up from the south giving the pastures a perfect green finish. The horses has been walking up and down along the fence that divides the summer pasture from the higher, naturally well drained pasture, the horses lived in during the winter. When we finally opened the gate to let them out in the summer pasture, they hesitated at first of respect to the fence, then Bluebell jumped boldly thru the imaginary forbidden line. They immediately began to graze, taking one mouth full here and there while walking forward at a slowly increasing speed. After tasting all the different grass dishes, Bluebell took the lead and began a gallopp around the pasture in all possible routes. 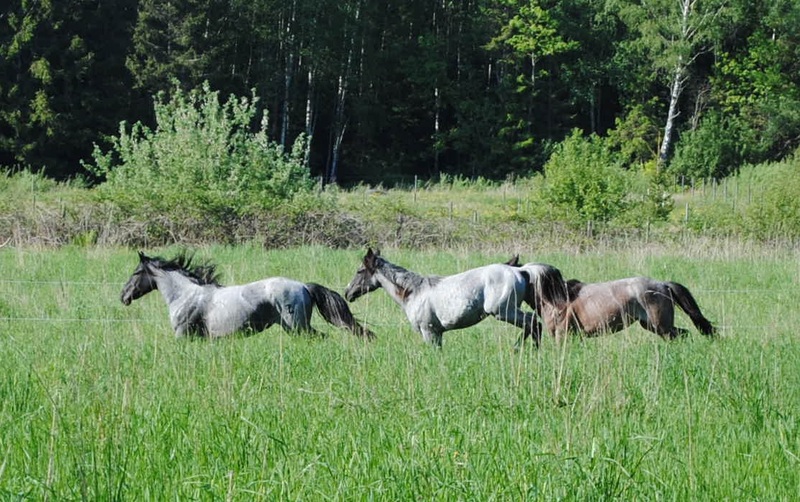 As they ran free, memories from their previous home on the vast North Dakota prairies came over them and we could see their smiling faces from a long distance, gosh these horses are happy! After a while the pace slowed down to a slow walk and they began exploring their new pasture, walking in under the trees, smelling the flowers and checking the borders. 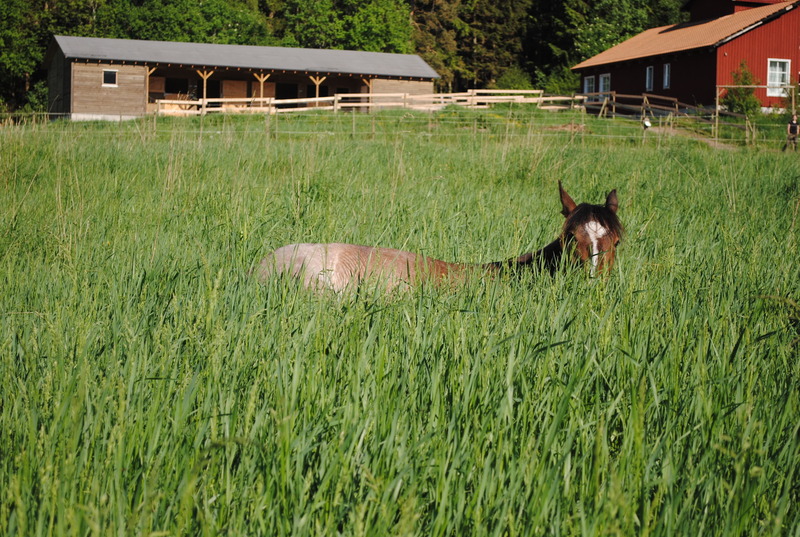 For Bluebell an expanded pasture feels like a relief and a reward for being patient. 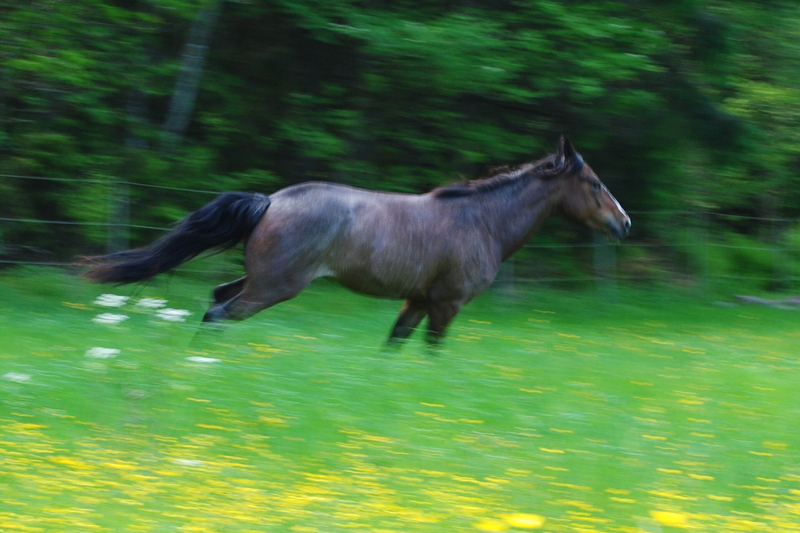 She has been throwing long looks out into the summer pasture for weeks. 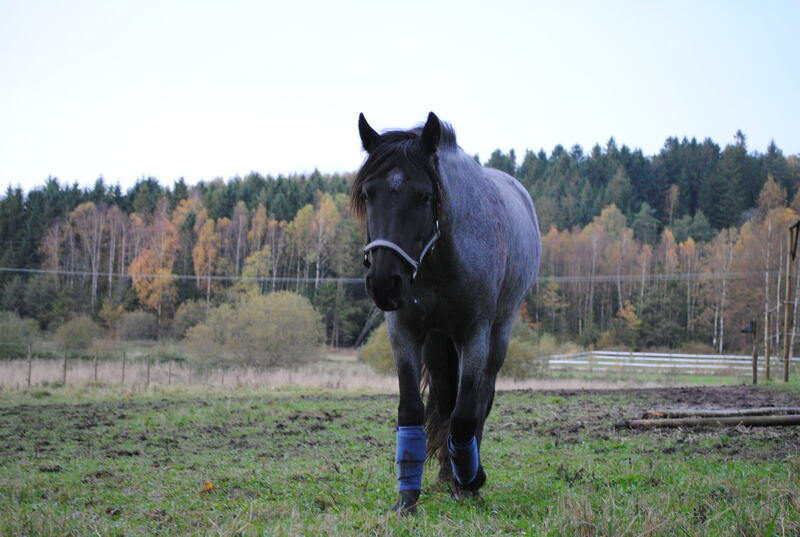 She lived her first three and a half years at the Kuntz in North Dakota and has many good memories of friendly humans, countless fellow horses and good vast pastures of tasty prairie grass. 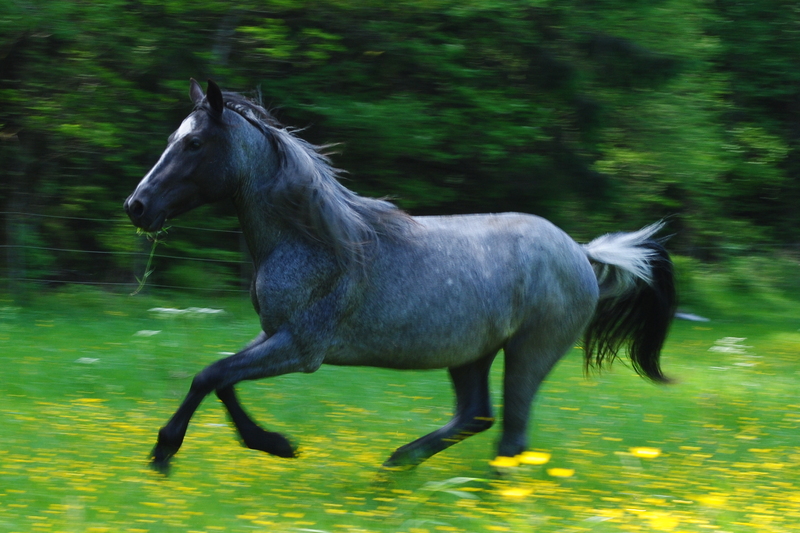 To run free on open range as the leader of a small herd of mares is what she dreams of. Now she can feel a taste of that again. 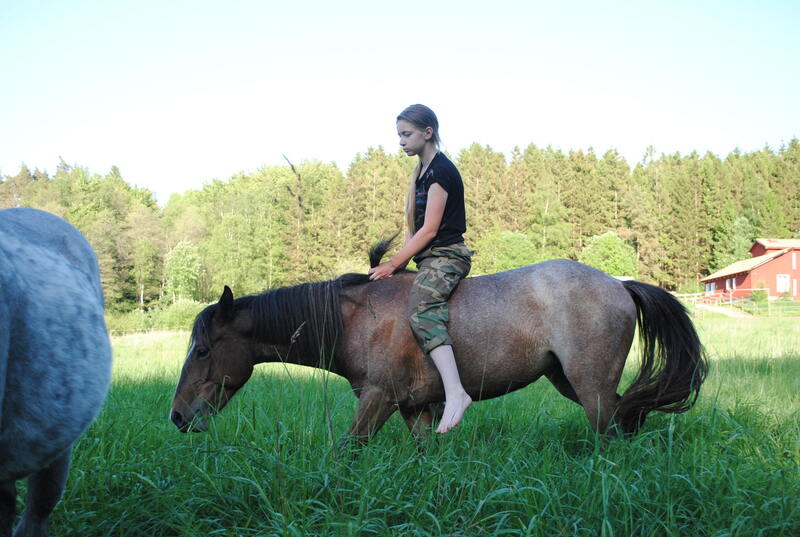 A thougt comes into my mind as we stand in the middle of the pasture surrounded by breathing horses; There are too many horses living a stable bound life, with very little chances of getting anything that even resembles a natural horse life at all. My eyes get wet, it’s the strong smell of grass that sticks in my eyes, I won’t admit to anything else. For Wild Prairie Rose, this is her second summer. Last summer she spent as a newborn exploring the world along with many other horses and her mother Lucky Dust, probably the last true Nokota mare to luckily escape from the TRNP wild-horse-policy. Rosie is strong and happy to be together with her older half sister Bluebell, who truly treats her like a baby sister and we love her like our little baby too. She is learning and growing every day, but always keeps her sweet and friendly personality. Windflower is now two years old and has developed immensely. When she came to us she was a shy little girl. 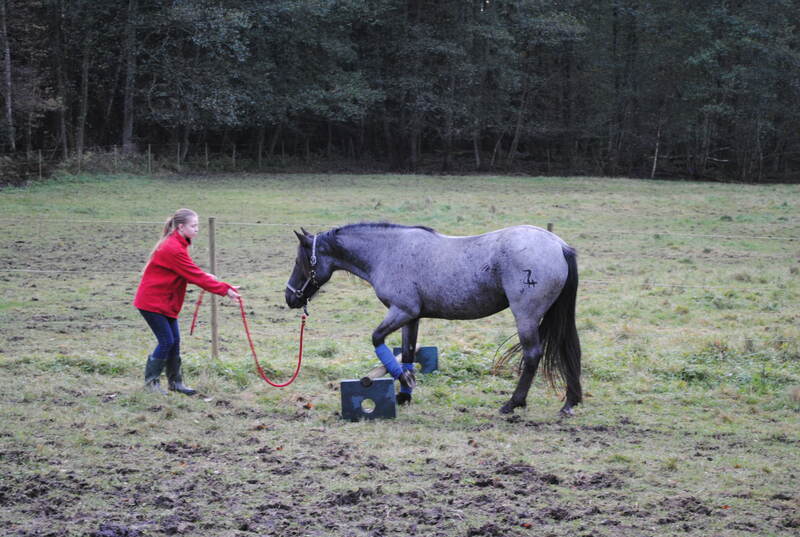 Now she stands almost as high as Bluebell and she is as smart as she is cool and brave. 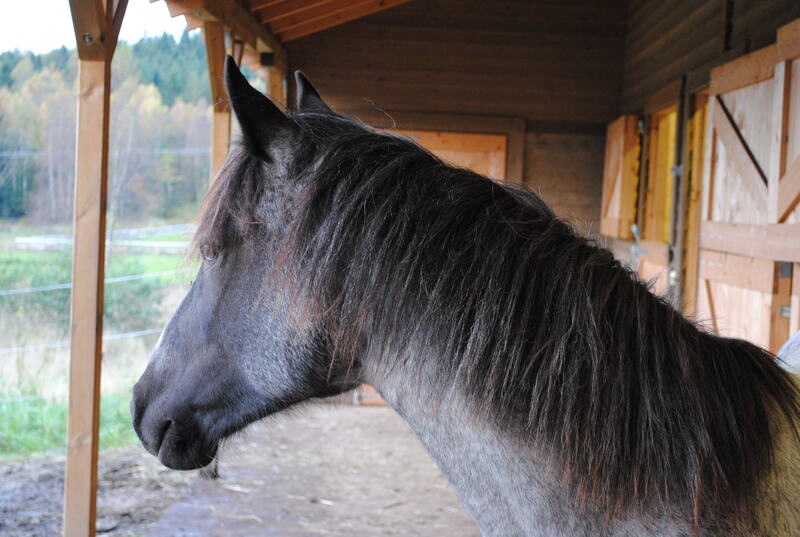 When one looks into those big brown horse eyes and she looks back, one can feel how she sees right thru your soul. That friendly and intelligent glimpse, her calm personality and her eager to teach us how to get along with horses, makes you feel special and fortunate. The connection between Windflower and Alexandra is wonderful, almost spooky. Sometimes when Alexandra walks out to the barn, Windflower spots her and walks up from the pasture, comfortably leaving the small herd behind. As Alexandra picks up a halter and holds it in front of herself, Windflower sticks her own head into it, begging for a moment of fun and learning. If someone asked me 15 years ago how I would like to see our children grow up, I wouldn’t have imagined it could be like this. 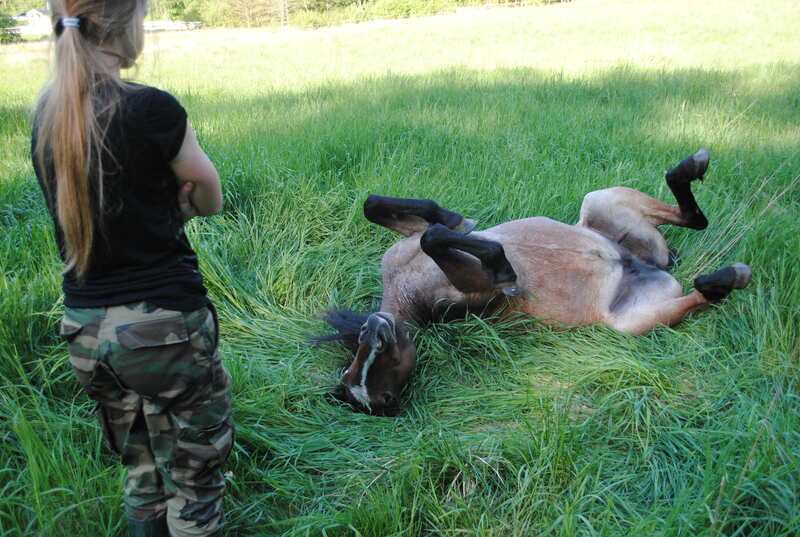 The horses just loves fresh grass, they even try to rub it into their skin. If the grass keeps growing out here it might be difficult to find the horses in a month or so, at least if you look at the above picture. Thru the ages there has been different ways to relate to horses. The famous Monty Roberts describes in his book “Shy Boy” his fathers brutal ways of breaking horses. Monty himself represents the opposite, as a boy he befriended wild mustangs out on open range by imitating the horses own ways, the join-up-process as he calls it. The awesome Curt Pate brilliantly teaches the ways of ranch horsemanship and the importance of turning horses out to pasture, living horse life and letting the herd do the job, raising young braves. 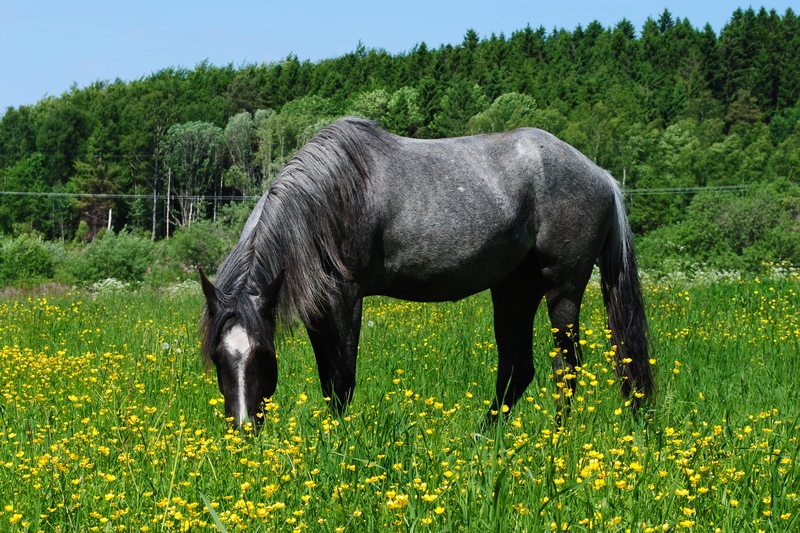 Ranchers prefer geldings for ranchwork as they are easy, mares are primarily for raising horse babies and so are stallions. 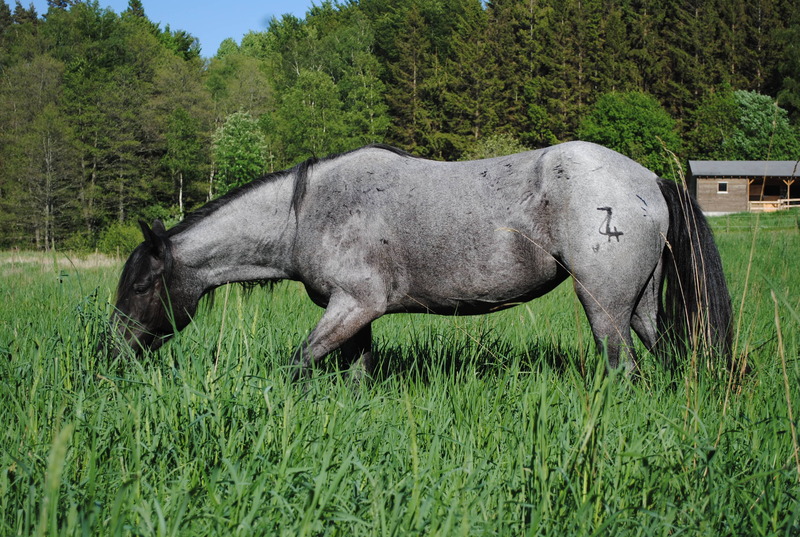 Keeping horses for work on a ranch or for competition means you must find effective ways to prepare a horse for the job that he must learn, there’s no time for spending weeks in a round pen. The oldtime horse cultures actually had a similar lack of time, spending the day working for survival, but as they brought their favourite horse along 24-7 their souls grew together. 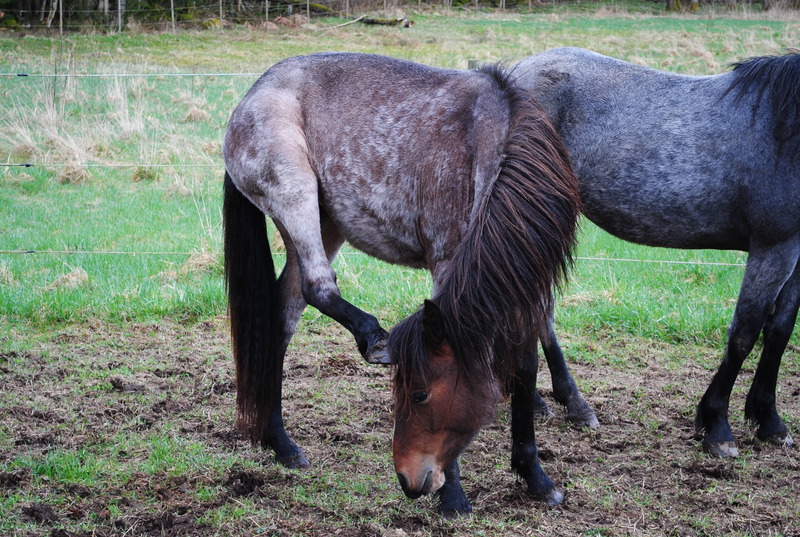 Keeping horses for no particular reason, other than the cher joy of it, or because some inner voice tells you that a human soul needs to be with horses, gives you more options as the time factor is taken out of the equation. Well, one still has to work for a living and be away from home for long hours, but one can use several months instead of days to get a horse ready. 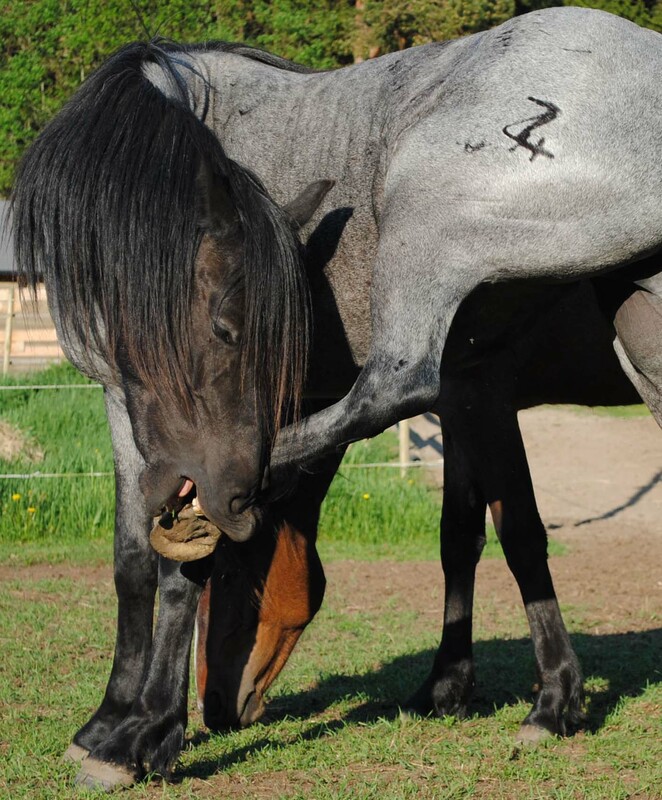 Giving both horse and human time to think and adapt, eventually it all comes natural and you realize there are no tricks or methods, just common horse sense. Something thats already there, embedded in our consciousness for thousands of years of coexistance.